Jay Parini brings a life’s worth of contemplation on Jesus to the first volume in ICONS, a series of brief, thought-provoking biographies edited by James Atlas. In Jesus, Parini turns the powerful narrative skill he’s wielded over the course of a four-decade career to a figure who’s dominated our collective imagination and cultural iconography for over twenty centuries. The main trend of modern theology has hinged on the notion of “demythologizing” Jesus. 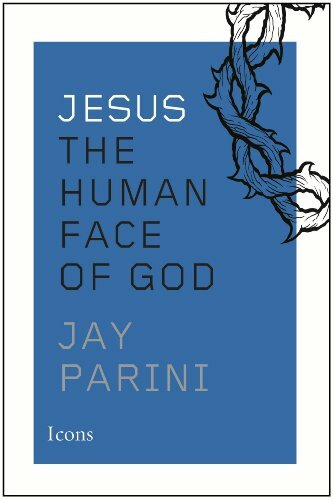 Parini’s book seeks to re-mythologize him, considering the story in all its mythical radiance, taking Jesus as the human face of God. It asks: What’s so moving about Jesus’s story that millions of people over two millennia have considered it a paradigm for living? Far from dogmatic, Parini looks at the many ways in which Jesus has been viewed and dramatizes the transformation from Jesus to Christ, man to myth, and obscure Jewish carpenter to someone who pointed a finger toward God and said with conviction: This is the way. Follow me.